* The Adjusted EBIT in Q2/2011 includes €7 million in profits from investments mainly related to participations in dealers. 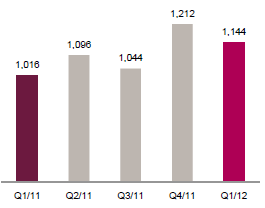 These profits represent 0.7%-points of EBIT Margin which generally occur in Q2/2011 for the fiscal year. 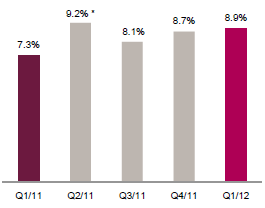 Thus, the Adjusted EBIT Margin in Q2/2011 amounts to 8.5% adjusted by profits from investments. In Q2/2010 the profits from investments were €2 million.